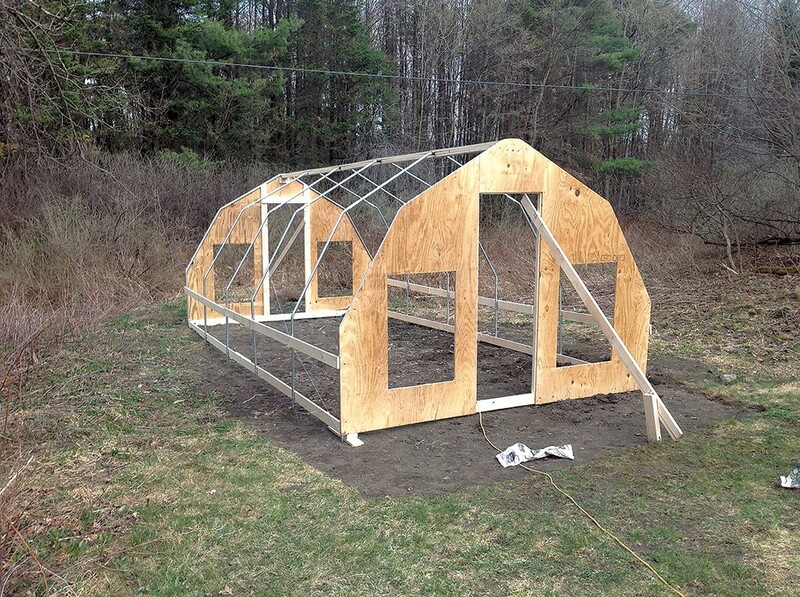 Backyard Greenhouse | Habitat | Kids VT - small people, big ideas! 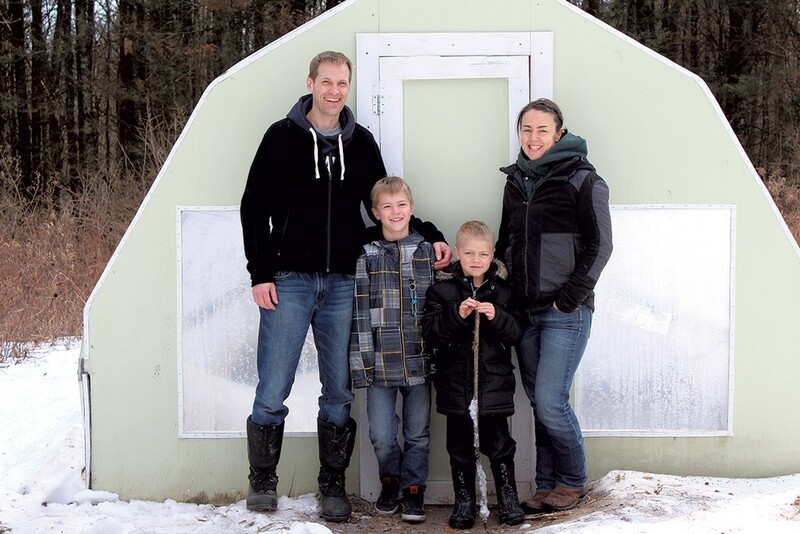 While most Vermonters spend their winters dreaming of tender, leafy veggies, the Zeilenga family eats greens they've grown in their backyard greenhouse. 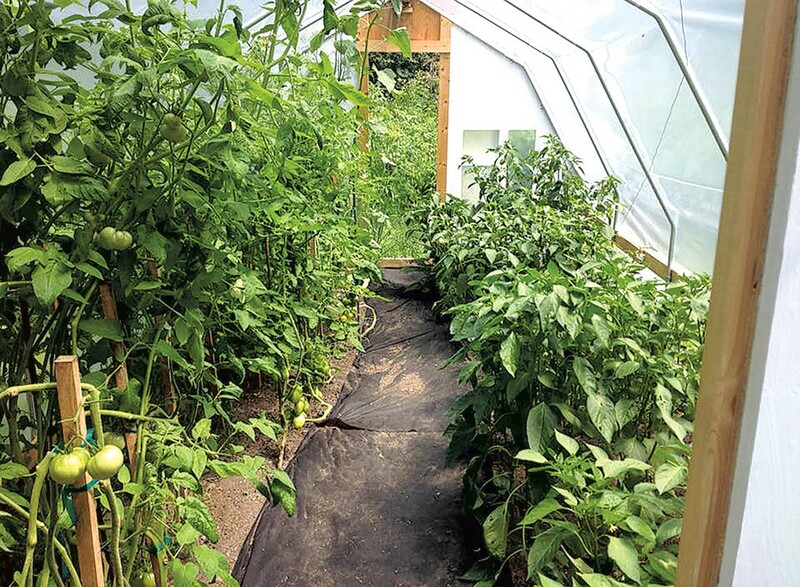 In the spring of 2015, dad Jack Zeilenga purchased the greenhouse online from Massachusetts-based Hoop House Greenhouse Kits. For about $600, the family bought a 10-by-20-foot model called the Serious Gardener, designed to withstand the weight of snow in a typical Vermont winter. The kit included the metal bones of the structure, heavyweight agricultural plastic sheets, screws and instructions. Jack bought $200 worth of plywood to construct the end walls, from which he cut windows and a door. He built it in a day, with help from a neighbor with carpentry experience. They chose a spot on top of an old garden plot that had already been tilled for planting. And the greenhouse plants need little watering because they are constantly respirating — and that creates condensation on the inside walls that falls on the plants. "It's like its own little ecosystem out here," Jack says. The Zeilengas are just beginning to experiment with growing veggies in the winter. The greenhouse is not heated, and plants go directly into the ground. This winter, the family grew a two-foot row of claytonia and a few short rows of kale. They lost the kale this winter in a recent cold snap, but the claytonia is still growing. The greenhouse really shines in the summer: They use it for veggies that do best in hot climates, including peppers, fennel and five kinds of tomatoes. Jack starts his own vegetable seedlings indoors under grow lights and in June moves them outside to the greenhouse. The greenhouse in warmer months. Kids Caelan and Elliot are reluctant to admit they like vegetables, but Jack says they helped harvest baskets full of produce last summer — some of which they even ate. Together the family picked, processed and preserved their bounty, putting away 13 quarts of homegrown tomato sauce and soup, plus gallon-size bags of frozen peppers for the colder months. The Zeilengas have always been avid gardeners, with expansive vegetable plots and fruit trees. They also raise chickens for meat and eggs and share a beef cow with a neighbor. The greenhouse was a natural extension of the family's grow-your-own philosophy and self-sufficiency. "It was the best investment I've made," Jack says.